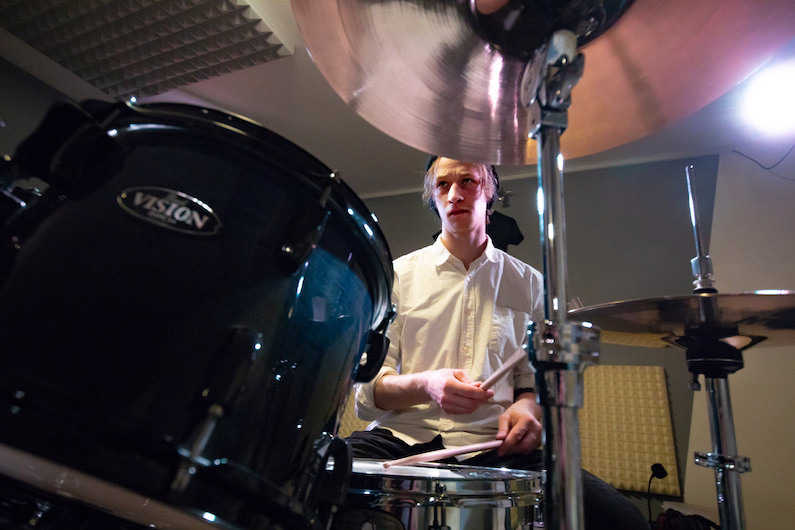 After first playing the guitar for two years, Anton started on percussion aged 10. One year later, he was already playing in his first punk band. 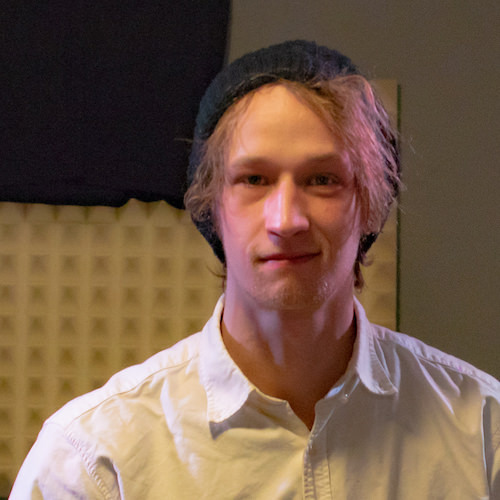 After being in several rock and indie bands as a teenager, for about 5 years now Anton has been working with Bakery and the Baketown Collective, which stands out in particular for its versatile cross-genre collaborations with a wide range of singers and rappers. Among other things, they’ve already played together at Burning Man, the Fusion Festival, the Garbicz festival, and many more. Through more than 13 years of private percussion lessons, he’s been able to keep on developing his skills. He takes a particular interest in the crossover between electronic and acoustic music. Anton also plays the guitar and produces his own music on the computer. His musical role models range from The Doors and Papa Jo Jones, through Nick Cave and Radiohead, to Nicolas Jaar and John Scofield. As well as his percussion-playing, Anton has successfully completed officially recognized training as an educator, and has worked in an elementary school and a high school as well as with unaccompanied child refugees at an accommodation center. Anton has had training in our thePlanetDrum Curriculum from Mirko, and has been working for thePlanetDrum as a teacher since September 2018.